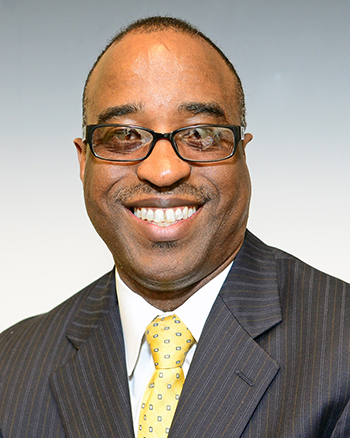 GREENSBORO, N.C. (May 10, 2018) – North Carolina Agricultural and Technical State University professor and associate dean of the College of Science and Technology, Clay Gloster Jr., Ph.D., has been appointed interim vice provost for Research, Graduate Programs and Extended Learning and dean of the Graduate College. A leader in computer systems research and instruction, Gloster has served in leadership roles in higher education for more than 25 years. He led efforts to establish the B.S. degree program in information technology at N.C. A&T, as well as the B.S. degree program in computer engineering at Howard University. Gloster is the recipient of research and instructional grants totaling more than $7 million from the U.S. Department of Defense, the National Science Foundation, the National Aeronautics and Space Administration, Verizon, IBM and Intel. His research focuses on developing tools and techniques that allow scientists to benefit from the potential speedup offered by high-performance reconfigurable computing environments. Gloster earned his B.S. and M.S. in electrical engineering from A&T and a Ph.D. in computer engineering from North Carolina State University. He also received a MDiv from Howard. His previous employment includes positions at Howard, N.C. State, IBM, the U.S. Department of Defense and the Microelectronics Center of North Carolina.